I also want to preface this by saying - or warning you I suppose - that I am NOT THAT RELIGIOUS. I hate the word religious because it’s so subjective and has so many meanings… but, in short, I don’t consider myself religious. I’m pretty moderate. Some people think I’m CRAZY religious and some people think I’m RIDICULOUSLY unreligious. And while it got 30+ screenshots and other comments of hearts sent to me, it got one really annoying comment that bothered me more than I care to admit it should. Define “too Muslim…” Oh wait… YOU CAN’T because it’s not some BMI of religiosity. “Oh hey… you should really cut back on your duaa… you’re MORBIDLY MUSLIM"
WHO THE EFFFFFFF ARE YOU to tell me who to be and how to worship? (Side note: This is a phrase I tend to use while fighting which is probably the reason I’m not married yet LOL) How can you define me? How do you think you have the right? TRUST YOU? First, I barely know you. Second, do you have some knowledge or information that I don’t about what Allah wants from us? Don’t think so, boo. If you’re my friend, tell me I’M NOT MUSLIM ENOUGH. Tell me I need to be better in my recitation. Remind me to fast on Mondays and Thursdays. Don’t tell me I’m “doing too much” in the way of Islam. Because guess what? If I do everything I can within my power every single day, it would never be enough. I prayed to find a religion that connected me to God for SO MANY YEARS. I searched. I read. I cried. And finally, I found Islam - what I had been searching for all along. How can I not try my best? How can I not intentionally make up for lost time? Don’t tell me how to worship Allah (swt). Don't tell ANYONE how to do that. I’m being tested. Allah is trying to find out which one of us is “the best in deed” as He said in the quote from the Quran you so rudely commented on. It's not to impress people who follow me. It's not so my mother-in-law gives me a pat on the back. It's not so people look at me as a "good girl." It's because we should worship Allah (swt) as if we could see Him because even if we can't see Him, He sees us. It's all for Him. And guess what? He follows me on Snapchat, honey. And for that same exact reason, you should never tell a person to “not be so Muslim.” You’re not ordering a curry, “hey can this not be so spicy?” You’re commenting on a person’s life "hey can you NOT BE SO RELIGIOUS?" Alhamdulilah this doesn’t affect me or what I’m doing because I go through all of these ridiculous and rude comments on the daily and have to navigate my own place in this world. However, there are girls that just converted that this comment could CHANGE THEIR ENTIRE PERCEPTION OF ISLAM. And that's what makes me SO ANGRY. Let’s encourage each other to be better Muslims, not to be worse ones. BE MORE MUSLIM. Trust me. 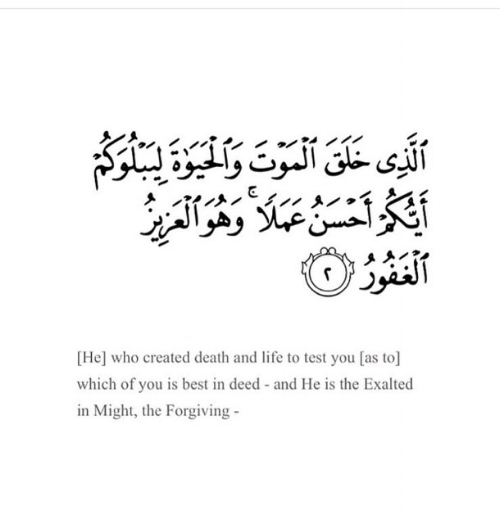 May Allah (swt) forgive us all and bring us closer to Him and His Mercy. We all need more of this beautiful religion in our lives, not less.